Apple Cider Turkey Gravy Recipe – turn plain-jane dishes into something really special. It’s easy to make, savory sweet, and just right for Thanksgiving. You’ve got your roasted turkey and ham resting on the counter top. You’ve got piping-hot sweet potatoes and buttery stuffing in the oven… and creamy mashed potatoes on the stove top. What are you missing? That’s right, turkey gravy. What would Thanksgiving dinner be (or any holiday meal for that matter) without rich silky gravy to drizzle over the top? It would be blah, that’s what. Like an ice cream sundae with no cherry on top or a plate of chocolate chip cookies with no milk for dipping. A holiday meal with no gravy is just wrong, nearly sinful. You’ve spent hours building a custom car, but have no key to start the ignition, you see what I’m getting at? Let’s not make that mistake this year. A gorgeous buttery Apple Cider Turkey Gravy Recipe with apple flavor bursting through is just moments away. 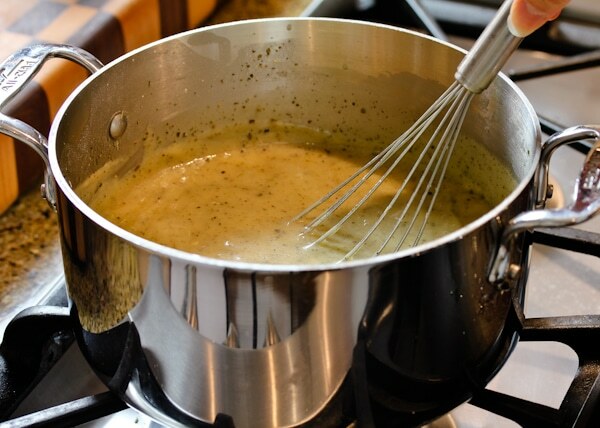 It doesn’t take much to make a delicious turkey gravy! Here are the ingredients and some alternatives for you. First take the dripping from your turkey pan (or substitute turkey stock and melted butter) and add a good dose of McCormick herbs to it. Whisk some cold apple cider with flour to thicken and flavor the gravy. 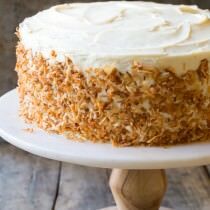 Add the flour mixture to the dripping and whisk over medium heat until a thick silky consistency emerges. Salt and pepper to taste. 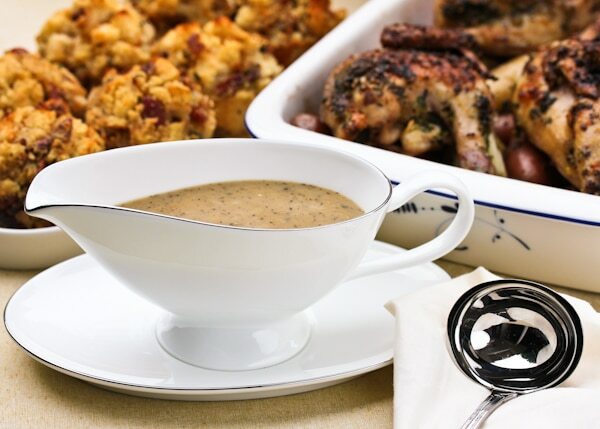 Your family will be so thankful you made this Apple Cider Turkey Gravy Recipe. If you are still on the lookout for great Thanksgiving recipes, visit the McCormick FaceBook fan page as they Count Down to Thanksgiving. They’ve got everything you’ll need to plan a brilliant holiday meal including tips and fabulous recipes for: Spectacular Sides, Let’s Talk Turkey, Save Room for Pie, and It’s All Gravy. See the recipe card below for how to make Apple Cider Turkey Gravy. Enjoy! 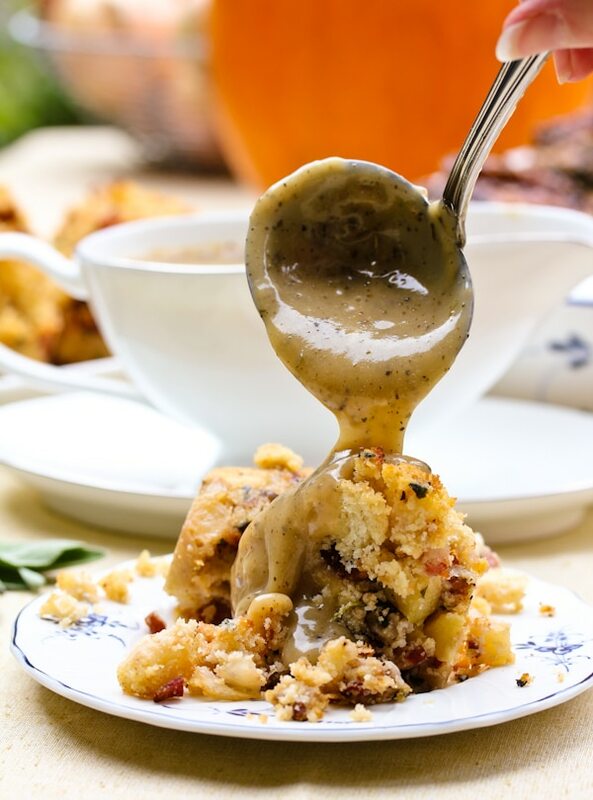 Apple Cider Turkey Gravy turns plain-jane dishes into something really special. It’s easy to make, savory sweet, and just right for Thanksgiving. Scrape juices and browned bits from the roasting pan into large glass measuring cup. Measure out 2 1/2 cups. Add the garlic and sage to the drippings and place in a saucepan over medium heat. 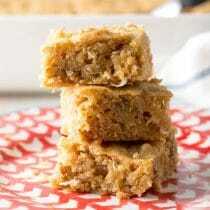 Whisk the flour and cold apple cider together to remove the clumps. Pour the flour mixture into the drippings and whisk. Continue to whisk as the mixture comes to a soft boil and thickens to desired consistency. 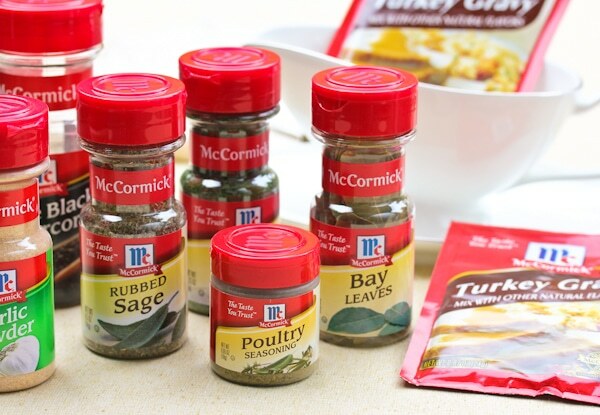 For an even quicker version, use 3 McCormick Turkey Gravy seasoning packs and mix with 2 1/2 cups of water, 1/2 cup apple cider, and 2 teaspoons McCormick dried sage. Disclosure: This post is sponsored by McCormick. I do not ever write about products I don’t personally use and enjoy. I am so excited about finding this recipe for Apple Cider Turkey Gravy. I simply just make turkey gravy but this recipe has inspired me to try it this way. Sounds super! Just wondering, is packaged turkey stock the same as the dried turkey gravy mix (as pictured)? If not, where can I find it? Thanks so much! Just made this for Thanksgiving, and everyone loved it! 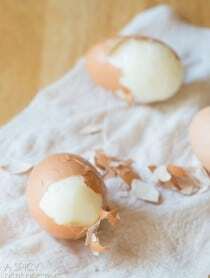 I just tried something similar with a bottle of hard cider – like heaven. Didn’t even need the meat under it! No Thanksgiving meal would be complete without the gravy. Hope you have a lovely holiday! 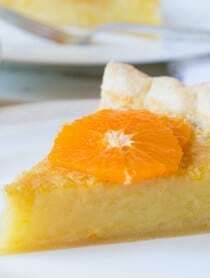 Perfect balance of savory, sweet and tang! Yum! mmm..the gravy looks so delicious! I’ll have to try this one. I am not a gravy fan but my hubs is. I am always looking for a great gravy recipe. It’s hard to make something you don’t eat as you can’t taste and adjust. I have complete faith if I give him this he’ll finally admit how bad mine is. Lol! 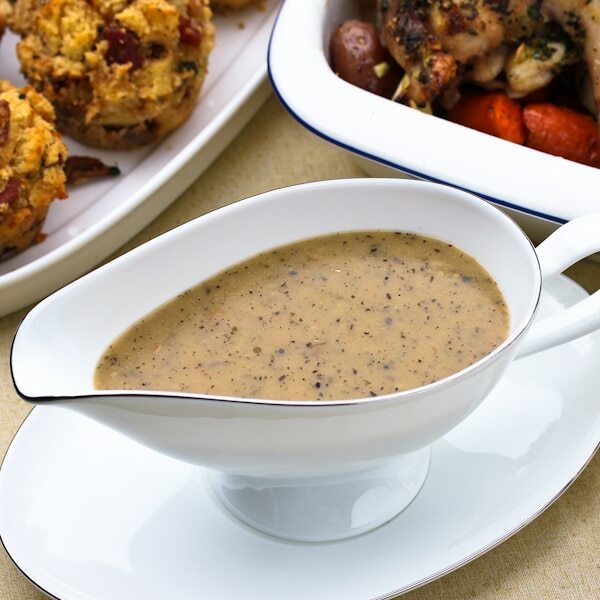 I really love this twist on gravy! I would happily pour this gravy over my entire Thanksgiving plate! I’m actually typically not a huge gravy fan, but this sounds amazing!! Definitely going to try it on Thursday =). Your site is one of my favorites to visit! 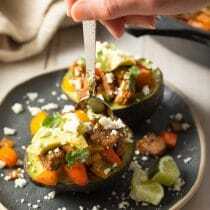 I really appreciate your food photography and styling and, of course, the recipes of veggies, and desserts, and seafood (I’m a pescetarian). Oh yum…I want to try something a bit different and I love cider. Done. Deal. You always make me drool Sommer. I don’t even like gravy! But wow…I think I might light this one. Thank you, thank you! I love this! This s such a great idea! My daughter wanted a sweeter gravy this year…will try this with the cider. girl, that last icture made me lick the screen. This time of year we always have apple cider in the house for my husband. 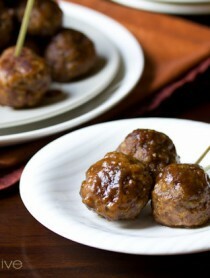 I will have to try some with my turkey gravy for our dinner this year, looks really good! 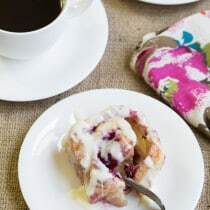 Totally agree – good gravy make a perfect plate and this looks fabulous! That looks like a wondeful gravy! Come visit us. We have pumpkin macaroni and cheese today. Have a wonderful Thanksgiving. I love apple cider gravy but I have not made it in a few years. Your post reminded me of how good it is!! I like to add a little bit apple cider vinegar to mine. Your photos look great and your blog looks so professional. Good job! This looks absolutely amazing! And it sounds wonderfully tasty too. Apple cider? In gravy? Sounds yummy! Who would have thought to include apple cider and it sounds wonderful. Thanks for the recipe and the link to McCormicks Facebook. I completely agree – Thanksgiving is just not complete without a really good gravy. This looks wonderful – rich and flavorful. I never though to combine those flavors but it sounds like the perfect way to jazz up some gravy. I’ve never tried apple cider in my gravy – but I like the sound of this! I’m very picky about my gravy, and this one looks awesome! What a great idea! This looks like a wonderful gravy!